Halprin published several influential books over the course of his career. His most important titles, plus additional recommended resources, are listed here. A Life Spent Changing Places, Lawrence Halprin (Philadelphia: University of Pennsylvania Press, 2011). Cities, Lawrence Halprin (New York: Reinhold Publishing Corporation, 1963). The Franklin Delano Roosevelt Memorial, Lawrence Halprin (San Francisco: Chronicle Books, 1997). Freeways, Lawrence Halprin (New York: Reinhold Publishing Corporation, 1966). Lawrence Halprin: Changing Places, Lawrence Halprin (San Francisco: San Francisco Museum of Art, 1986). Notebooks 1959-1971, Lawrence Halprin (London: The MIT Press, 1972). Process Architecture 4, Lawrence Halprin (Tokyo: Process Architecture Co, 1978). The RSVP Cycles: Creative Processes in the Human Environment, Lawrence Halprin (New York: George Braziller, Inc., 1969). Sea Ranch... Diary of an Idea, Lawrence Halprin (Washington, D.C.: Spacemaker Press, 2006). 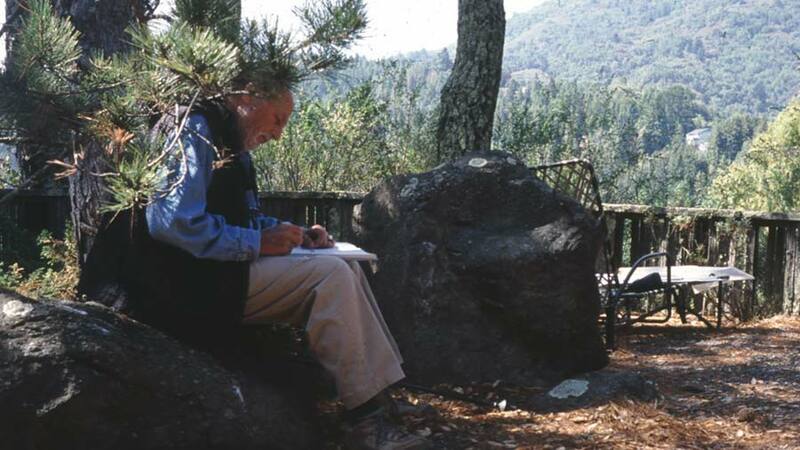 Sketchbooks of Lawrence Halprin, Lawrence Halprin (Tokyo: Process Architecture Co, 1981). Taking Part – A Workshop Approach to Collective Creativity, Lawrence Halprin and Jim Burns(Cambridge: MIT Press, 1974). City Choreographer: Lawrence Halprin in Urban Renewal America, Alison Hirsch (Minneapolis: University of Minnesota Press, 2014). Dream of the Sea Ranch, Film, directed by Zara Muren (Ross, CA: Master Design Series, 1994, DVD). The FDR Memorial: Designed by Lawrence Halprin, David Dillon (Washington, D.C.: Spacemaker Press, 1998). The Franklin Delano Roosevelt Memorial: A Report to the President and Congress, The Franklin Delano Roosevelt Memorial Commission (Washington, D.C., 1978). “From the Garden: Lawrence Halprin and the Modern Landscape,” Marc Treib (Landscape Journal, Wisconsin: University of Wisconsin, 2012: 22). Lawrence Halprin’s Skyline Park, Ann Komara (New York: Princeton Architectural Press, 2012). Living Modern: A Biography of Greenwood Common, Waverly B. Lowell (Richmond, CA: William Stout Publishers, 2009). Making Peace with the Land: Designing Israel’s Landscape, Shlomo Aronson (Washington, D.C.: Spacemaker Press, 1998). The Sea Ranch, Donlyn Lyndon and Jim Alinder (New York: Princeton Architectural Press, 2004). Where the Revolution Began: Lawrence Halprin and Anna Halprin and the Reinvention of Public Space. John Beardsley, Janice Ross, and Randy Gragg (Washington, D.C.: Spacemaker Press, 2009).